To become a medical professional, you need to qualify NEET exam. To become an engineer, you need to qualify engineering entrance examinations. Likewise, to serve the country and to be recruited for the Army, the Air Force and the Navy, you must qualify for the NDA exam. NDA is the Indian Armed Forces’ Joint Services academy where candidates (known as ‘cadets’) of the three wings train, learn and study together before parting ways to the respective service academies. The National Defence Academy is the first tri-service academy in the world, located at Khadakwasla, Maharashtra. The NDA exam 2019 is a national-level entrance exam conducted twice in a calendar year. It is known as NDA I and NDA II. The Union Public Service Commission is the exam conducting body that recruits highly skilled candidates for the Army, Air Force and Navy wings. Furthermore, the exam is conducted in two phases – written test and interview. Candidates who qualify the written test are called for the personal interview, which is also known as the SSB interview round. The underneath information about the exam schedule has tentatively been furnished. Interested candidates are advised to check the official website to get exact dates for the exam. The official notification for the same is expected to be released in the month of January 2019. The Union Public Service Commission will release the notification for online registration for the NDA exam in the month of January 2019. Since you have got some days, why not get well-versed with the step-by-step method to fill up the application form? The online application form can be submitted in just three simple steps. Step 1 requires candidates to visit the official portal of UPSC and apply. Step 2 lures applicants to fill the form, which is further followed by Part I and Part II registration. Here, the form fillers are required to upload documents, make the application fee payment, etc. Step 3 compels candidates to go through ‘Declaration’ and click on the ‘Agree’ button. The application process is the same for both NDA I and NDA II exams. Just make sure that all the documents and information should be correct and in the right format. For example, the scanned copies of signature and photograph should be in JPEG or JPG format with 3KB-40KB size for photograph and 1KB-40KB for signature. Candidates won’t avail the facility of application form correction after the final submission. How much is the application fee and how to pay? The NDA 2019 application fee will be ₹ 100/-. This is for general category applicants. For reserved category candidates (SC/ST & others), there is no application fee prescribed by UPSC. The general candidates can release the payment via credit card, debit card, SBI challan and net banking. 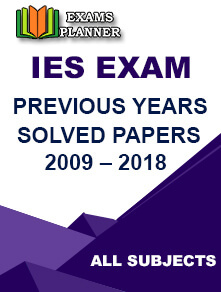 Have you checked the latest exam pattern of NDA 2019? If no, we bring you all the recent developments that an eligible candidate should check before attempting the entrance exam. It is an offline exam where candidates are asked objective type questions. Test-takers will get OMR pattern question paper. The exam will be held in both Hindi and English languages. Total 5 hours. Each code will have two and half hours. Mathematics will have 2.30 hours. General Aptitude Test will have 2.30 hours. Note: Do not come with pencil or Ink pen. Marking the answer with these can disqualify the candidature. The NDA syllabus 2019 comprises mainly Mathematics and General Aptitude Test. GAT (English & General Knowledge): GAT is General Aptitude Test. It mainly covers English and general knowledge. Candidates need to be well-versed with vocabulary, comprehension, grammar and usage and cohesion. The Part B, which is General Knowledge, has several sections. They are – Section A (Physics), Section B (Chemistry), Section C (General Science), Section D (History), Section E (Geography) and Section F (Current Events). 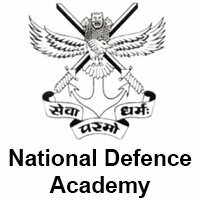 The eligibility criteria for the National Defence Academy exam 2019 are given below. Nationality: The candidate should be an Indian citizen. If he is a subject of Bhutan or Nepal of a refugee of Tibet (whose ancestors came to India before 1st January 1962 and settled here permanently). People of Indian origin (who have migrated from like Sri Lanka, Pakistan, Burma, Uganda, Zambia, Zaire, Vietnam, the United Republic of Tazania, Kenya and Ethiopia and have settled in India permanently) are also eligible to apply. Educational Requirements: There are different educational qualifications required for different posts. For Army Wing, the applicants must have passed 10+2 or equivalent exam from recognised board. For Air Force & Navy and 10+2 Cadet Entry Scheme at INA (Indian Naval Academy), the applicants must show 10+2 certificate. They must have passed the exam with mathematics and physics subjects. Physical Standards: This is quite an important part of the eligibility criteria. Those who are withdrawn or have resigned from any training academy on disciplinary grounds cannot apply. The applicants should be hundred percent fit and must meet the physical standard criterion mentioned by the officials. Marital Status & Gender: Married candidates are not eligible to apply. Only male applicants are eligible to apply for the National Defence Academy exam. Age: The candidates must be, at least, 18 years old. Q: What is full form of NDA? A: The full of NDA is National Defence Academy. Q: Who is the conducting authority of NDA exam 2019? A: The Union Public Service Commission is responsible for the NDA exam. Q: When is the registration process of NDA 2019? A: The exam is conducted twice in a year. The January exam is kn0wn as NDA I and the June exam is known as NDA II. For NDA I, the registration will begin in January 2019. For NDA II, the registration will start in June. Q: My age is 22. I’m married. Am I eligible to apply? A: If your age is taken into consideration, you are eligible. But to register for the exam, one must not be married. It accepts unmarried male candidates. Q: I’ve secured more than 60% in 10+2 examination. I want to apply for the Army Wing. Can I apply? Q: If an applicant is taking the Class XII exam, is he eligible for NDA entrance test? No. Only male candidates can apply for the exam. I am doing diploma .Can I apply for NDA exam. If you meet the eligibility criteria, you can apply for the exam. No. You must have passed class 12th for NDA exam.